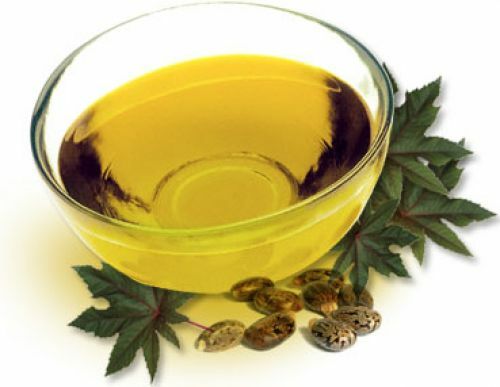 In naturopathy castor oil has been promoted as a treatment for a variety of human health conditions. The claim has been made that applying it to the skin can help cure cancer. Castor Oil is also commonly used to induce labour, so pregnant women should always consult a doctor before using it. The anti-inflammatory properties of Castor Oil make it an excellent massage oil for relieving arthritic joints, nerve inflammations, and sore muscles. Make a small pad by folding a small piece of unbleached cotton flannelette into 3 or 4 layers. Dip the cotton pad into Castor Oil and place it on to the affected joint or muscle. Cover the pad with a plastic wrap. Place a hot water bottle or heating pad over the plastic wrapped cotton pad. The plastic wrap will prevent the water bottle or heating pad from getting oily. Leave the cotton pad on for 45 minutes to an hour, once per day. This Castor Oil pack can be reused. Simply place it into a plastic ziplock bag and refrigerate it until it is ready to be used again. It can be refrigerated in a ziplock bag. RINGWORM TREATMENT Ringworm is known to be a stubborn condition to treat, but one of the active compounds of Castor Oil (Undecylenic Acid) has been found to be very effective at treating this fungal infection. Spray Castor leaves with some hot water and coarsely crush the leaves. Soak the leaves in pure coconut oil. Warm the leaves to a temperature that will not burn the skin, and apply the leaves over the affected area as a poultice. Leave on the skin for at least one hour, or optionally overnight. You may wrap the leaves with unbleached cotton fabric to prevent the oil from staining your bed sheets. Repeat the procedure every night before going to bed until cured. However, if you notice any redness or discomfort around the area, discontinue this remedy. SKIN PROBLEMS Successful studies have approved the use of Castor Oil for skin infections and other skin problems such as sunburn, abrasions, acne, dry skin, boils, warts, stretch marks, liver/age spots, athletes foot and chronic itching and inflamed skin. Dip a cotton ball into Castor oil and apply it onto the affected skin in the morning and at night. Alternatively, for larger skin areas, soak an appropriately large piece of unbleached cotton cloth in Castor Oil and wrap the affected area overnight. If the area is very small, soak a Band-Aid in Castor Oil and cover the infected skin overnight. For stubborn fungal infections that affect the skin or nails, it is recommended to soak the affected skin in Epsom Salt for 10-15 minutes to soften and disinfect the skin before applying Castor Oil. This can help speed up the healing process.